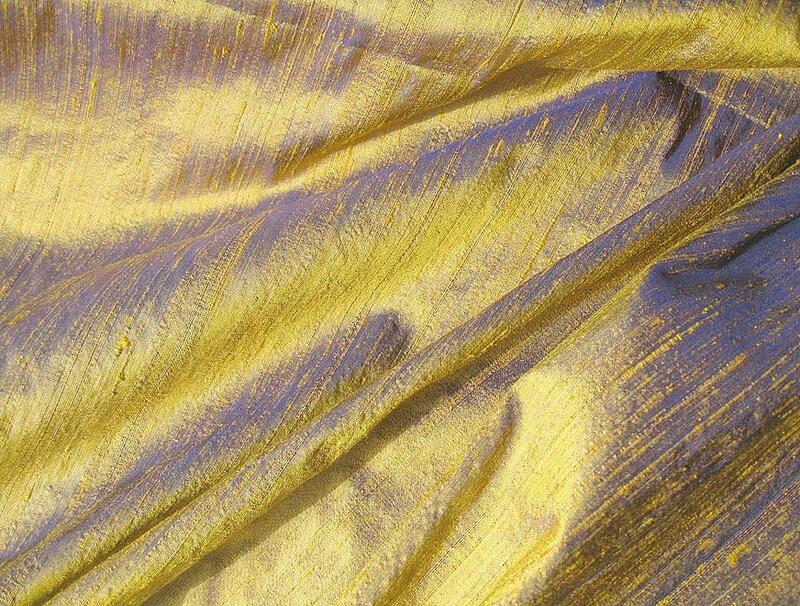 The warp in this gold royal purple iridescent dupioni silk fabric is a vibrant bluish purple. 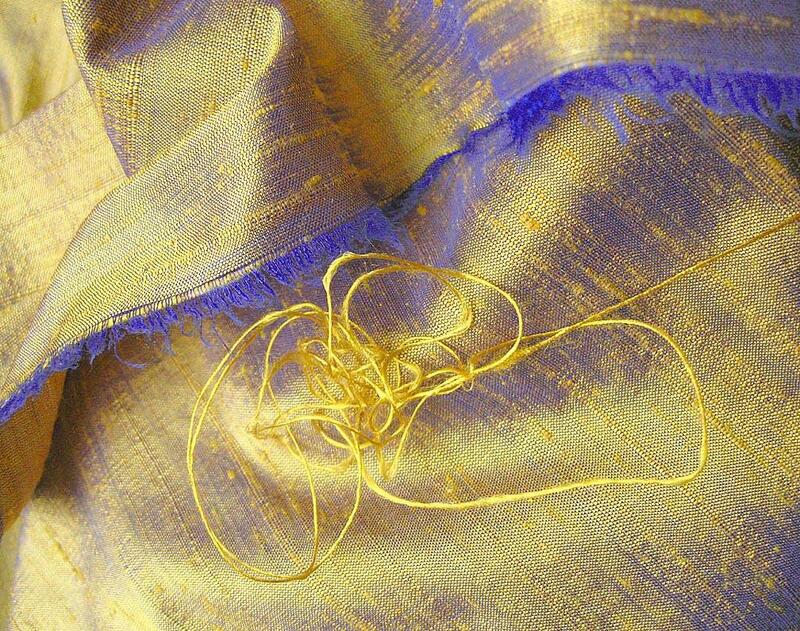 As it blends with the saturated yellow gold weft, it creates beautiful contrasts and undertones in shades of royal blue purple that provide excellent depth. 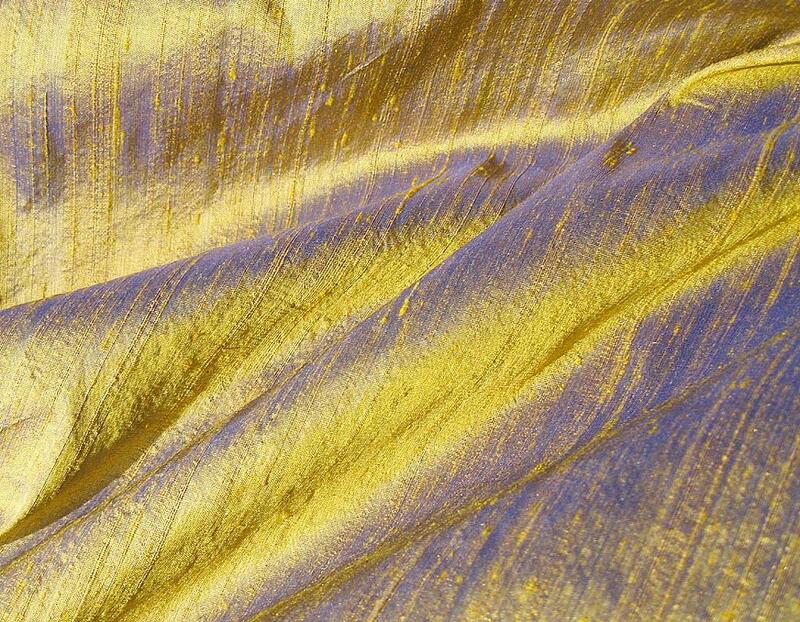 This silk is very reflective with a lively sheen, and I photographed a larger piece of it in natural light without flash. The remnant is 21" wide x 13" long. 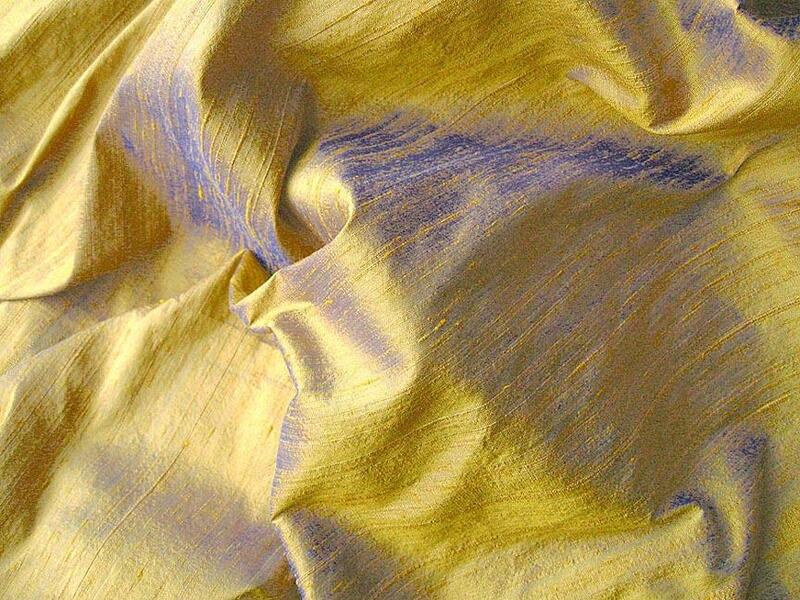 Your silk fabric will be carefully packed, wrapped in plastic and shipped first class mail with tracking. I combine shipping, so you can save money on the shipping cost if you purchase additional items at the same time.